Healing Hashimoto's and Alopecia with Jill Grunewald - Dr. Nikolas Hedberg, D.C.
Dr. Hedberg: Well, welcome, everyone, to “The Dr. Hedberg Show.” This is Dr. Hedberg, and I’m excited today to have Jill Grunewald on the show. Jill is a functional medicine certified health coach, and she’s the founder of Healthful Elements. 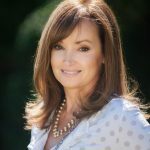 It’s a thyroid health, Hashimoto’s, and alopecia specialist, and co-author of the number one bestselling “Essential Thyroid Cookbook.” She successfully guided her clients and students with hypothyroidism and Hashimoto’s to health and vitality and has helped many of her alopecia clients reverse their devastating hair loss. She has a unique online program for the alopecia community called Reversing Alopecia, and that will actually launch this spring. So Jill actually had Hashimoto’s, and it’s been successfully managed since late 2008, without the use of thyroid medication. She’s actually suffered from alopecia herself, off and on, since about the age of 13, and, after becoming one-third bald, has kept her newfound full head of hair. And in her coaching practice, she not only specializes in Hashimoto’s and alopecia but also Graves’ disease, adrenal dysfunction, and perimenopause, menopause. And she has an upcoming book, “Reversing Alopecia,” and that will be published in the fall of 2020. So, Jill, thanks for coming on. Jill: Thank you so much for having me. I’m flattered to be asked. Dr. Hedberg: Right. So I thought this would be great for our listeners because a lot of, you know, the patients that I see with Hashimoto’s disease and alopecia, when we start making dietary recommendations, that can be somewhat difficult for people to make a big transition. And so, sometimes, we start slowly with just a few restrictions. You know, we wanna meet the patient where they are and not overwhelm them and create additional stress. So you wrote this book which is obviously gonna be very helpful to these patients. Can you talk a little bit about what makes your thyroid cookbook unique? Jill: Yeah. So, Lisa Markley, my co-author, and I both, we were aligned on a lot of things, but we take a “food first” approach. She’s a registered dietitian. She’s also had Hashimoto’s. So it’s been our philosophy to have a food first approach even before we conceived writing this cookbook. And as you know, Dr. Hedberg, over the last several years, there’s been a proliferation in various diets that help people to reverse many forms of autoimmunity, not just Hashimoto’s, not just alopecia, namely paleo or autoimmune paleo or autoimmune protocol, this specific carbohydrate diet. And we’re not against those diets, certainly. So we specifically chose not to make the book adhere to any of those dietary philosophies, not that we are against those dietary philosophies. What we did was to spend many, many late nights and, you know, weeks, really, researching the most thyroid and immune-supportive nutrition. And, you know, we were scouring the U.S. nutrient database and the Linus Pauling Institute website. And given that the vast majority of people who have hypothyroidism do have Hashimoto’s, we thought, “Okay, well, let’s go dig up the most thyroid-supportive nutrition, as well as the most immune-supportive nutrition, and also see where those nutrients overlap, right? What nutrients are heavy hitters? What nutrients are catching two butterflies with one net?” They’re supporting thyroid function and driving thyroid hormone production but also supporting the immune system. And we really dug into that research very extensively, and then we created this chart that shows what those most supportive thyroid nutrients are. And then we created a ranking system that, excuse me for clearing my throat, a ranking system to really highlight the foods that contain those nutrients in great amount. So, in other words, people can rest assure that those recipes are extremely thyroid and immune supportive. You know, I had said to Lisa at the onset of this journey, I don’t want anyone thinking, “Oh, you know, this is just another cookbook,” or, “How do I know that these recipes are thyroid supportive?” So the first third of the book is some dense education about thyroid health in general, and it outlines, you know, our methodology and kind of the method behind our madness on creating the nutrient chart. And then, you know, Lisa did her magic, she took all that research and she created the recipes based on that. So we do offer adaptations on the recipes for people who are on paleo or who are on AIP or people who are even vegan. You know, you and I can talk more about the vegan-vegetarian community as well. But we try to meet people where they are. The recipes are specifically nutrient-dense. But, again, for the recipes that we could, we wrote adaptations to meet different communities of people and people who adopt different dietary philosophies. Dr. Hedberg: Right. Because, and I’m sure you’ve seen this as well, I have patients coming in who have tried the autoimmune paleo diet and they just get so much worse, much, much sicker, or they try a ketogenic diet or just a paleo diet, and they end up getting a lot worse. And so your book has…does it have a lot more options for people so they can kinda broaden their dietary intake? Jill: Absolutely. And that was a lot of the feedback that we were getting from members of the functional medicine community when we were reaching out for endorsements. And, you know, during that sort of prepublication phase and even since the publication of the book, we’ve received so much feedback from members of the functional medicine community saying, “Oh, my gosh, like, thank you for sticking your neck out and not writing another AIP cookbook or another paleo cookbook,” because there’s more of those out there than you can shake a stick at. I don’t feel the world needs another one of those cookbooks. Even Dr. Alan Christianson, you know, who’s a thyroid expert, said, “Thank you so much for offering people more than beef and greens.” He really appreciated our approach. So I appreciate what you said about how you’ve worked with a lot of people who actually got worse on AIP. I work with what I call AIP refugees, a lot of people who tried AIP and gotten worse. I’m not saying it’s a bad diet. It just doesn’t work for everybody, and it’s not the panacea that I think that it has been promoted as. So, yeah, we wanted to offer more flexibility, especially given something that you said early in this conversation, which is some people, they’re new to cooking or changing their diet might be overwhelming. If you slap somebody with a really restrictive diet right out of the shoot, they may give up before they ever got started. Dr. Hedberg: Yeah. I mean, we have to have that conversation when we get started. You know, if I’m working with a single mom, you know, raising two kids, working two jobs, I’m not, I mean, the last I wanna do is create extra stress with an extremely restrictive diet. When we all know that, you know, let’s just say, no matter who it is, if they have Hashimoto’s disease or alopecia, you know, we could just start with gluten and go with that for a while, because you’re still gonna get good results just removing something like that. And, you know, so maybe they’re still eating a little bit of dairy, and so you can talk to them about maybe just trying some plain yogurt or some kefir. So there’s just less, you know, antigenicity and then just not so restrictive on necessarily the grains, you know. Maybe they can do some basmati rice here and there. And there’s just a lot, there are so many unknowns with each individual. And I think that restricting everything right away, you know, even if they can do it, might not actually be the best approach in the beginning. So, what do you think about that? Jill: Yeah. And, I mean, I agree 100%. In my one-on-one virtual clients, you know, we’re doing that inquiry, right, like, “Are you ready or prepared, or do you feel like you could do a more advanced, you know, full elimination provocation diet, or do we need to start smaller?” Because you’re right, I mean, there are many cases of people who have reversed their Hashimoto’s simply by removing gluten. There’s a smaller number of people who have reversed their alopecia just by removing gluten. I think that these folks are the outliers. But it does happen. So it does warrant a sort of slower entry or, you know, it’s a viable way to start things to go slower. Now, as far as our book is concerned, I kinda put it all out there, right. Because, at its core, it’s a cookbook and I didn’t want the educational component of the book to become too substantive, you know. I could have written a book book, and, you know, a lot of people have said, “Well, this really is a thyroid health book within a cookbook.” But the point I wanna make is I did…there’s a chapter devoted to the full elimination provocation diet, which really is a gold standard for sluicing up food sensitivities and from a dietary perspective, you know, healing the gut. I could have written more and said, “Well, okay, you know, if you don’t wanna go to this extent, you know, right out of the shoot, you could try a modified approach.” You know, Dr. Aviva Romm does a good job of talking about the modified approach when it comes to an elimination provocation diet. I think she has, like, you know, “Here’s phase one, here’s phase two,” that’s a little bit more involved. So, just for the purposes of the book, I just kinda, like, threw it all out there. Dr. Hedberg: Right. And a lot of times, like you said, that’s enough. And, also, the gut health and the gut microbiome is really key in a lot of these patients, and that actually can determine, you know, their ability to tolerate certain foods. And so we’re kind of working on that at the same time. And so the healthier the gut, the healthier the microflora, and the less leaky the gut. Usually, those patients can tolerate a lot more foods. Is that something that you’ve found as well? Jill: Oh, yeah, for sure, for sure. Dr. Hedberg: Right. So let’s get into just a few specifics, because a lot of the listeners, I think they already kind of understand gluten and dairy and sugar and some of the main offenders in autoimmunity. But let’s just talk a little bit specifically about specific foods that can really benefit the thyroid, and also, let’s talk a little bit about macronutrients. So, what have you seen and where does your book go when it comes to, say, protein to carbohydrate ratio? Because a lot of these restrictive diets are very low on carbs, and we know that that can affect thyroid function in some people, especially women tend to be, at least in what I’ve read and my experience, women are a little bit more sensitive than men going very, very low carb. Dr. Hedberg: Where does your book go in that direction? Jill: Well, there is a chapter called “Low Carb: A Disaster for Those with Hypothyroidism.” I’m really passionate about this. I am very leery of low-carb diets. I, too, have found that women tend to be more sensitive or maybe have more of a negative experience with low-carb diets. I mean, this is going back years, right. I mean, the Atkins diet was kind of the first low-carb diet, and we’ve had different variations of that diet over the last couple of decades. But, you know, there’s a whole chapter devoted to this in the book about how lower carb diets… I’m a fan, I am a proponent of what’s called moderate carbohydrate diet, right. Like, we don’t want high carb, because we know what that can do to, you know, our blood sugar level. But low carb has also been shown to cause hair loss, which is already a problem for a lot of people with hypothyroidism. It can make it more challenging to thermoregulate, to, you know, regulate body temperature. So, from a carbohydrate perspective, I really am an advocate of healthy carbohydrates, right, not processed carbohydrates. And I’m sure a lot of your listeners are already savvy enough to know the difference between simple carbohydrates from things like sugars and refined flours, and complex carbohydrates, which are from whole foods, like you mentioned basmati rice earlier or a whole grain, like millet. So I have also worked with a lot of people who have been on extremely low-carb diets and gotten worse. And when they reintroduce some carbohydrates into their diet, especially with dinnertime, they sleep better, their cortisol is better regulated, they feel more calm, grounded, and centered. I mean, I’ve seen this happen over and over and over. So, and you’ve probably witnessed this, too, like going back, I don’t know, six years, five years, six years, at the initial onset of the popularity of the paleo diet, kind of before AIP became as popular as it is now, a lot of those paleo proponents were proponents of a low-carb paleo diet. And now, a lot of those paleo proponents have sort of soften their views and said, “Okay, hold on a second, we’re actually seeing that maybe this isn’t so great, especially for women and especially for the hypothyroid community.” So I am more of a fan of a moderate carbohydrate intake diet, you know, sort of a diet that’s…from a macronutrient perspective, carbohydrates, fats, and protein, I think we really need all three. I really do. I think that’s how most women feel best. And it’s also, despite what we’ve been told, some healthy carbohydrates in the diet do actually help us to regulate blood sugar. I’ve worked with a lot of people whose blood sugar have gone off the rails doing keto or, you know, a really low-carbohydrate diet. They actually have a harder time regulating their blood sugar. Dr. Hedberg: Right, right. And I can build on that a little bit. So the ketogenic diet, we know…we’re learning more about its effect on the microbiome, and then that will affect blood sugar. But also, now, we know, genetically, some individuals will have actually a fairly strong insulin response to saturated fat, and also, they might have a stronger inflammatory response to moderate to higher amounts of saturated fat. And sometimes, those fats will come in a little bit heavier on the ketogenic diet. There’s more eggs in the diets, more butter and fatty meats, and things like that. So we do have to think about how, you know, one individual is going to respond to olive oil and how the other is going to respond to it. And the same thing with saturated fat. And so, T3, we know, is fairly sensitive to carbohydrate intake, and that’s because, when you lower your carbohydrate intake, you don’t need as much T3, and when you increase your carb intake, that’s a fairly well-supported way to increase your T3 levels. You don’t want them too high, which is why, like you said, a high-carbohydrate diet isn’t what we want, because higher T3 levels leads to shortened lifespan. And so we want it right in the middle, like you were talking about. So, what are some of your favorite carbohydrates, just so our listeners can get a good idea of the carbs that are healthy for blood sugar and the microbiome and things like that? Jill: My favorite carbohydrate foods are root vegetables. I really feel strongly about this. I’m not anti-grain, that’s the other thing, and it kind of makes our book an outlier, is that we’re not, Lisa and I are not anti-grain. We’re anti-legume. I love whole grains. A lot of my clients love them. You know, they feel good on them. You know, you don’t wanna sit down, or, I mean, I don’t wanna make a play and give a statement, but, you know, I’m not a proponent of sitting down at breakfast and having a big old bowl of, you know, gluten-free steel-cut oats. I think that having steel-cut oats with breakfast as a part of a meal with other variety, I think that’s fine. You know, I’m not talking about carb loading, but I’m not anti-grain. However, things like sweet potatoes, yams, pumpkin, carrots, those dense root vegetables that are so rich in fiber, that’s the other thing that concerns me, and there’s a section in the book about fiber and how, oftentimes, on these low-carb diets, people are not getting enough fiber. And some of the best fiber you’re gonna get is from those dense root vegetables. So, you know, I’m not talking about sitting down to, you know, just having a sweet potato for dinner. Like, have a little bit of sweet potato along with your protein and, you know, a couple servings of green vegetables. I’ve seen just a small addition of some starchy vegetables with meals really do wonders for people. So those are my favorites. I make them all the time. Dr. Hedberg: The root vegetables. How about plantains, do you like those? Jill: Oh, yeah, yeah, for sure. I make plantain pancakes. Dr. Hedberg: Yeah, you bring up a good point about fiber because that does tend to be, or certain types of fiber, can tend to be lower on the paleo diet and more restrictive diets, and that can cause some issues with the microbiome in the long term. We know that pretty clearly and relatively quickly as well. Sometimes just within a few days to a week, we can see major changes in that. So, that’s why, you know, fiber supplements can be very helpful, like flax and acacia fiber. But most people should be able to get enough fiber just from the food that they’re eating. So the other thing that can happen is, with these restrictive diets, is thiamine deficiency. Have you seen that in your practice or in your research? Jill: In my research, yes, I have. Yeah. Dr. Hedberg: Yeah, yeah. So, just so listeners know, there’s a potential connection there with lower thiamine levels and especially fatigue and people with hypothyroidism and Hashimoto’s disease or something to be aware of. What about goitrogens? Let’s talk a little bit about that, because this is, for some reason, and I don’t know why, but it seems to be kind of a controversial, contentious topic out there on the internet. And, you know, if you look at the research, there obviously is a connection there, but I think what really determines the issue there is the quality and the quantity. And also, just, in these goitrogenic, so-called goitrogenic foods, there are many compounds in them that actually improve thyroid functions. So, like, a lot of the goitrogenic foods, vegetables have kaempferol in them. And we know from the research that kaempferol actually improves thyroid functions. So there’s going to be some offsetting markers there in some of these foods. So, can you talk about goitrogens and how you look at those? Jill: Yeah. So, prior to even conceiving of the book, I had written a substance of blog posts called, you know, “Goitrogenic Foods: Thyroid Boosters or Thyroid Busters?” And what piques my interest in looking more into it was that back in… So I was diagnosed with Hashimoto’s in January of 2008, and by that fall, it was managed. And I never stopped eating goitrogenic foods. I mean, the brassicas are my favorite vegetables. And I thought, “Well, okay, yes, each of us is bio individually unique. You know, just because I was able to manage my Hashimoto’s while still eating these foods doesn’t necessarily mean that everybody will.” But, I mean, way back in nutrition school, I just remember, I don’t remember who the speaker was, I think it was multiple speakers, talking about the profound anticancer benefits of things like cauliflower and brussel sprouts and cabbage and broccoli. I’ve always loved those foods. So, that really stuck with me. And intuitively, I thought, “Man, okay, so we’re supposed to not eat these foods even though they’re so rich in polyphenols and anticancer compounds?” Like, that just doesn’t make sense to me. I’m not buying it. And time went on, and then the controversy around goitrogens heightened and it’s still, you know, a pretty hot topic. But as I really dug into it, it’s like, “Well, I don’t know.” I think there was a lot of hype around it. I think there still is a lot of hype around it. And I think the benefits are too plentiful to omit these foods from the diet. And, you know, Dr. Joel Fuhrman said, you know, “These studies were done on animals. Most of these studies around goitrogens were not done on humans, and a lot of the studies that were done on humans are done on men, not women. So, can we extrapolate some of that research that was done on men?” Yeah, probably, but I didn’t buy it intuitively. And then I did a bunch of research, and a lot of that, you know, went into the book. There’s a whole chapter devoted to this. And that’s another thing that many members of the functional medicine community have thanked us for, you know, saying, “My gosh, it’s like, if people are gonna be AIP and they can’t eat goitrogens, and they can’t eat this, and they can’t eat that, what are they gonna eat?” And I’ve just never been anti-goitrogen, and I never will be. I don’t think that…you know, there’s a quote in the book from a doctor that may have been Joel Fuhrman, I can’t remember, that said, “Someone would have to eat an insane amount of these vegetables to have any goitrogenic effect.” And also, if someone has adequate levels of selenium, it offsets any potential negative effects, you know, if we’re getting, and it’s easy to get, adequate selenium from the diet. So I don’t know what your take is on all of this, but that’s kind of my opinion in a nutshell. Dr. Hedberg: Yeah, I completely agree. In 15 years of practice and thousands of patients with thyroid issues, it’s just not something that I really even address. Because, like I said earlier and like you said, these goitrogenic foods have so many other compounds in them. They’re just so beneficial, not just for the thyroid, but for the rest of the body as well. I did have one patient, I think it was 12 or 13 years ago, who I do think that… So she was consuming massive amounts of soy in the form of soymilk and tofu, and she was also following a raw food diet as well. And so she was eating massive amounts of goitrogens, and nothing else was really adding up. And so we just changed some of those things, and there was some improvement by reducing the amount. So it’s like you quoted Dr. Fuhrman, and I agree, and this individual was eating, you know, massive amounts of goitrogens, and even then, it was just a subtle effect. Jill: I think it will fizzle out. And, I guess, if I could just say one other quick thing about this particular topic, which is, these foods have also been shown to be so immune supportive. So, if someone has Hashimoto’s, or any autoimmune condition, and they need that immune support, you know, it’s kind of like, “Well, there’s potential for a goitrogenic effect on the thyroid.” But at the root of it, Hashimoto’s is an immune dysregulation problem. So, if we’re getting immune support from these foods, then I think the benefits far outweigh the risks. Dr. Hedberg: Exactly, right, right. So, why don’t we give a little love to our vegans and vegetarians? Because, you know, a lot of them look into AIP or paleo and things like that and, you know, sometimes, there’s a little bit of discouragement there. Can you talk a little bit about how to adjust the diet there and how your cookbook addresses veganism and vegetarianism? Jill: Yeah. We don’t go into it too extensively although we do offer some adaptations in the recipes. I am not in favor of vegetarianism or veganism, personally or, you know, in my work with clients. But I understand people’s reasons for wanting that type of diet. I mean, I’ve worked for a sustainable agriculture organization for a number of years. Like, I understand the issues around animal husbandry and, you know, the social and environmental impacts and the emotional impacts of eating flesh. I totally get it. Personally, if I could feel the way that I wanna feel and keep my blood sugar regulated on a vegetarian diet, I would do it in a heartbeat. But I can’t. I have to have, excuse me, some animal protein. And the vast majority of my clients have felt the same way. Now, if someone really is committed to that lifestyle, which I totally understand, the densest form of protein that they’re gonna get is from beans, legumes, and pulses, or soy, which is a legume. But there are some issues around overconsumption of soy, especially for women. Plus, even though I am pro-legume, I believe that they are important foods for the diet, to get all of your protein needs met from beans, legumes, and pulses, I think is a hard row to hoe. I think it can cause some digestive upset, not just by way of the sulfurs, but, you know, the lectins and the phytic acid, I think that lectins and phytic acid in the diet are okay in moderate amounts. I mean, we get those things from Swiss chard, for crying out loud. Does that mean we shouldn’t eat Swiss chard? So my concern around it is not…how do I say this? My concern is more around keeping blood sugar as stable as possible. And for the vegetarians and vegans that I have worked with, they’ve had a very difficult time keeping their blood sugar regulated. And oftentimes, they are reaching for non-nutritional forms of energy, like coffee and sugar, to get them through the day because they’re on such a blood sugar roller coaster. So, do I eat meat with every meal? No, but I do believe that it’s part of a healthful diet. And I know, you know, some people are gonna be offended by that. I do understand the reasons why people want to adopt that diet. I totally get it. I don’t know what your take is on this, but, you know, additionally, from a micronutrient standpoint, many vegetarians and vegans are low in tyrosine, which is aplenty in fish and meat. Like, you would be hard-pressed to find someone low in tyrosine who was not a vegetarian. I actually don’t recommend supplementing with tyrosine. And we know that the thyroid, you know, combines iodine and tyrosine to make thyroid hormones. So there’s a little bit of a concern there around not getting enough tyrosine in the diet to drive thyroid hormone production. And I think, don’t quote me on this, I do know that there are vegetarian sources of tyrosine, and I think one of them is spirulina. Don’t quote me on that. But I know that you can get it from non-meat sources, but I don’t know that it’s enough. I don’t know how you feel about all of this. Dr. Hedberg: Right, right. It can be a touchy subject, you know, with some people, especially the ethical vegans that I’ve worked with are the most adamant about, you know, that type of diet. And just a couple of biochemical issues to discuss there, number one is vegetarian, vegan diets can tend to be low in sulfur-containing amino acids, like methionine. So you have to be careful there. And then B12, of course, can also be an issue. And then the big one that really connects with thyroid is iron and ferritin levels. And I tend to see very low ferritin levels in vegans and vegetarians. And I’ll be releasing a new article, an updated article on ferritin and hypothyroidism here soon, with some new research out of Finland. And I’ve always called for a ferritin level at least at 50 and then, in many women that I’ve seen, it needs to be at least at 80. And if it drops below 80 or 50 in some individuals, they begin to lose hair and they develop the signs and symptoms of hypothyroidism. The other issue there is that, it’s actually been published in the research, that you can’t actually accurately diagnose hypothyroidism if the ferritin is low. Because if it becomes low, the TSH will increase, and then T4 and T3 can also be affected, and then the iron is very important for the T3 receptor in the cell. So, multiple mechanisms are affected when the ferritin gets low. So I’ve actually had a few vegans literally wake up, just completely turn around their symptoms simply by adding in chelated iron and vitamin C supplements, and it’s a great way to show them how important, you know, healthy sources of iron are. You know, you’re getting the ferric source of iron from plants, which has, you know, much, much lower bioavailability than the ferrous type of iron from animal products. So those are just some things to be aware of. There are people who just, no matter how perfectly they do a vegetarian or vegan diet, they’re just not going to feel well. I’m one of those people, and I do have patients who are like that. But for the vegans and the vegetarians out there, it can be done, but it takes a lot of work. And sometimes, it can require just a change in beliefs and maybe adding in some eggs here and there, some wild-caught fish. Sometimes, I can get some people to bend there, and they notice a difference. But, you know, I agree with you, you know. You don’t have to have, that’s the other thing is you don’t have to have meat or animal products with every meal. Even if you just had it a few times a week, you could see some improvements there. Jill: I’ve asked my vegetarian and vegan clients if they would be open to just doing some bone broth and some fish. And by the time they come to me, you know, they’re fed up. They’re like, “You know, okay, I need to open my mind to some things,” I mean, by the time they come to, you know, people like you. For the people who have introduced some bone broth and just minimal amounts of fish, and sometimes chicken, you know, sometimes, they’re like, “Okay, well, you know, I’ll add a little chicken in there,” most people say something like, “I wish I had done this 10 years ago. I feel so much better, you know.” So, yeah. Dr. Hedberg: Yeah, yeah. It’s just an individual thing, and there are people out there, for sure, there’s no doubt, who can really thrive on a vegan or a vegetarian diet. I have met them. But it’s really an individual genetic thing. So, really, I think really the moral of the story there is if you are a vegetarian or a vegan and you’re really doing everything you’re supposed to but still not feeling well, you know, you might wanna look at adding in a few other products from animals and see if you can see some improvements in your health. But I think we’ll leave it at that, with that topic. And going back to your book, we talked a little bit about carbohydrates. We gave some good information there. Can you just talk a little bit about the healthiest types of fats that people want to look for if they have Hashimoto’s or hypothyroidism? Jill: Yeah. So, I mean, I’m a big fan of, you know, essential fatty acids, from things like, you know, cold water fatty fish. The cookbook is dairy-free. I’m kind of, you know, split on dairy. I mean, I think people should probably do some type of elimination and then provocation with dairy. Maybe it’s not part of, like, the full kahuna, you know, the whole elimination provocation diet. Maybe if they just isolate dairy, leave it out for at least 10 days, preferably 21, and then reintroduce it on 1 day, have 45 servings on 1 day and see how things go. You know, overall, I’m not anti-dairy. There are some good fats to be had if people can tolerate it. I’m also a big fan of ghee, G-H-E-E, which I’m sure, you know, a lot of your readers are familiar with, but its nicknamed liquid gold. It comes from butter, but it’s had the milk solids extracted from it. So it’s just the really nutrient-dense, very thyroid supportive oil that makes a really nice cooking oil. So, ghee, dairy, if people can tolerate it, fats from cold water fatty fish, fats also from grass-fed pastured animals, you know, like grass-fed beef. And also, olive oil, as long as it’s not heated too high and becomes, you know, problematic. We don’t wanna heat olive oil too high. What else? Coconut oil, coconut products. A lot of people don’t like cooking with coconut oil because that flavor, you know, that coconut flavor comes through in their food, you know. It depends on how much of it you use. But avocado oil, I personally prefer cooking with avocado oil over coconut oil, but I do use coconut oil in other things, like, you know, I’ll just put like a big fat spoonful on a smoothie. So those are kind of the heavy-hitters that I see as far as like getting those really dense fatty acids. But I want your opinion on this, too, but I wanna go back to something that you said earlier related to fat and how some of the diets that are popular today are high-fat. I think that a lot of the reason that people have problems with some of those high-fat diets is because of compromised gall bladder health. You know, we don’t have to get into a lot of detail around that, but that is one thing that I work on with my clients is, do you even have the gall bladder capacity to do keto or to do, you know, a high-fat diet? Because a lot of the reason that they don’t feel well is because the gall bladder needs some support. But I’d also love to hear what your favorite dietary fats are. Dr. Hedberg: Right. Well, yeah, so the gall bladder, there are a few issues there. Number one, food sensitivities will aggravate that. And then the other thing is that the gall bladder function over time can become compromised if hydrochloric acid levels are low on the stomach and just a lot of people with zinc deficiencies and B vitamins and stress and H. pylori, and just a lot of the things that are connected with Hashimoto’s can inhibit hydrochloric acid production, and that would directly affect the gall bladder. So, yeah, that is definitely something to think about with patients. But, you know, a lot of times with the gall bladder, a big part of it is just stress, because we know that the sympathetic nervous system just completely shuts down the gall bladder and the pancreas. And so a lot of people are just very stressed, they eat very quickly. They’re just not in the right mindset frame of mind while they’re eating, and that’s a big part of it, I think, as well. A lot of people are just eating too fast or texting, checking Facebook, watching TV while they’re eating, and things like that. So, yeah, that’s a big part of it. But as far as favorite fats, definitely, olive oil is at the top of my list, omega-3s from the sources that you mentioned, avocado. And over the years, I’ve just kind of drifted away a little bit from coconut. I mean, it’s been, you know, kind of in vogue for a long time. It is a great fat. But with the research that we’ve learned recently about in certain individuals, genetically, once they get above around 15 to 20 grams of saturated fat in a meal, they can have a strong insulin inflammatory response. But that’s strictly gonna be genetics. So those are just some things that I’m more aware of recently with coconut. But, yeah, I do think that’s a great oil and fat source as well. So let’s talk a little bit about, why don’t we just close with iodine. This is something that I’m kind of deep diving right now. For a while there, it was very popular back around 2005, 2006. There was a lot of hype. It grew like a lot of things do on functional medicine. And then it sort of fizzled out when everyone realized that these super high doses of iodine that people were trying can cause a lot of problems in people. So, does your book cover iodine at all, or do you have some iodine-rich foods that you recommend? Jill: Yes. We cover iodine. And this is, you know, talk about goitrogens being controversial, I think iodine is even more controversial. And I had written a very long blog post about the iodine controversy, I had it actually split it up into two parts. And one of my colleagues said, “You should have split this up into four posts.” And a lot of that did go into the book. I mean, you know, iodine is a critical mineral. There’s no denying that. And I think it was Dr. Christian Northrup who said, you know, “If a woman is deficient in iodine, her chances of breast cancer increase significantly.” So I think it’s really important to get iodine from food sources. I’m not categorically against iodine supplementation, but I think people have to be very careful with it. And I address in the book, you know, some of the information from years gone by about high doses of iodine and what that can do to people, you know. And to quote Dr. Alan Christianson, again, I think it was him who said, you know, “I’ve seen all the cases where high-dose iodine has gone wrong.” But we do need iodine. And I think, you know, there’s been this backlash over the last few years of, “Oh, gosh, you know, there were all these experts touting high-iodine supplementation.” Well, okay, that backfired. So, now, people are afraid to take any. I’m not sure where I stand and I even say, you know, in my blog posts and in the book, “I don’t know what’s right for you, you know.” I don’t know what’s right for any of us when it comes to iodine. You know, the best food sources of iodine are gonna be, you know, seafood and sea vegetables, egg yolks. A lot of people are sensitive to eggs. You know, there’s not a lot of foods that actually contain iodine. There’s even some controversy around iodized salt. So it’s a really important mineral, for sure. I think people need to be mindful about getting it from their diets and maybe, you know… So I’ll tell you what I do. I do eat sea vegetables, I do eat seafood, but I also take just a general multimineral. I do not take a multivitamin, but I do take a multimineral. It’s got a small amount of iodine in it. It is only 50 micrograms, and I take that about 4 days per week. I buy sea salt, but I also buy an iodized salt, and I mix those two things together. So I’m not using iodized salt for every single thing that I cook, or I am, but it’s, you know, I’m not using the full-on iodized salt. I mix it with sea salt. So I’m getting the benefits of the sea salt, but I’m also getting the benefits of the iodized salt. So it’s really controversial… When people hear that we take iodine and tyrosine and make thyroid hormones, they’re like, “Oh, I’m gonna go out and get myself some iodine and tyrosine.” We’ve been talking about tyrosine before. I don’t think that very many people need to supplement with that at all. And iodine is a wild card. So I think people are generally pretty safe focusing on, you know, getting some iodine from their food. And, you know, whether or not they wanna supplement is, of course, an individual choice. What is your take on this? Dr. Hedberg: Right. So it’s something I read a lot about years ago. Like I said, it was back in 2008 and went through all the literature there. And a few things that are just very clear, when you add iodine to the food supply of a population, the incidence of Hashimoto’s disease definitely increases. That’s just a fact. And the main reason that the authors talk about why that happens is because there’s a genetic predisposition for that. The other thing is that iodine, it’s a micronutrient, just like any other micronutrient. And if you’re deficient, then it’s gonna cause problems. And achieving sufficiency is just the same as, you know, just trying to get your zinc levels back up to normal or your iron levels or your thiamine levels. And so you can get your zinc levels back up by taking a small amount of zinc or a moderate amount of zinc or a high amount. But if you take too high, you’re gonna deplete your body of copper and have some other issues. So getting your iodine levels back up if you are in fact deficient, that doesn’t necessarily require massive doses that could potentially cause problems. And so, I mean, the literature that I’ve read is the iodized salt. I mean, it’s obviously worked in reducing goiters and hypothyroidism. I mean, that’s a fact. So it’s not just a useless compound or product that was introduced to the food supply. It is effective. The issue with iodized salt is that it is just sodium chloride. And so it sounds like you’re doing the right thing mixing that with, say, an unrefined Celtic sea salt so the other trace minerals and things like that are going to offset the effects of just sodium chloride. But it really depends on the individual, so, you know, you have to be tested for iodine deficiency, 24-hour urine is pretty good for that. A thyroglobulin blood test can also be a good indicator. And then just, of course, the most important thing is always the signs and symptoms of the patient, how they’re feeling. Do they have fibrocystic breast? Do they have issues with estrogen metabolism? Do they have some of these obvious signs of potential iodine deficiency? And then you just work with them as an individual, either just using a multiple-vitamin with 150 to 250 micrograms over time to bring those levels back up. And then, if there’s severe deficiency, I’ll use like liquid iodine that is, I believe, it’s about 1.4 milligrams of combined iodide and iodine. And that’s, you know, ensuring that they’ve already been on some selenium and magnesium and vitamin C and B2 and B3, and some things like that, just so we know that if there is any kind of inflammatory response in the thyroid gland to the iodine, all of those micronutrients are there in place to minimize that effect. So, just also want to mention, you really have to have a thyroid ultrasound if you’re gonna be using milligram doses, because if you have a hot nodule and you take a high dose of iodine, you can have a major problem with a thyroid storm or massive amounts of thyroid hormone production. So that’s just kind of a brief overview of how I look at it and what I’ve found in the research and in practice. Jill: Well, you know a lot more about it than I do, clearly, but I will say I’m really glad that you brought up the fibrocystic breast issue because a lot of people do not know that that can be a sign of iodine deficiency. Jill: So, and I’ve worked with several women who’ve had fibrocystic breasts. So I always think iodine, you know, we always have…I talk about iodine with all my clients, of course, but, you know, I really stress the importance of getting iodine test once someone had that history. Dr. Hedberg: Right. And there was a paper I read years ago that, you know, taking high doses of iodine…well, actually, there’s multiple papers on this. But if you have Hashimoto’s and you take high doses of iodine, you’re almost guaranteed to significantly increase your thyroid antibody levels and lymphocytic infiltration into the thyroid gland. So it’s something to be very, very aware of and very careful with, and you need to worry. Jill: Which is opposite of what some of the earlier studies were seeing. Some of the earlier studies were seeing, if you have Hashimoto’s and you wanna get it into remission, take high doses of iodine. And it’s like, “Oh, you know, yeah.” So, I think people are rightfully confused, including, you know, people like you and me who kind of live in this sort of world of, not only helping people, but also really trying to keep our finger on the pulse of the research. And, you know, there are some practitioners out there and researchers who are very adamant one way, and there’s another group that are very adamant the other way. So, yeah. Dr. Hedberg: Right, right. Yeah. So, you know, that’s kind of a brief overview of iodine. But for the listeners, just really need to be working with someone who looks at all those particular aspects, especially if you have Hashimoto’s disease. It’s something to be aware of. So, Jill, where would you like people to find you online? Can you give everyone your websites and mention your book again, where people can get that? Jill: Yeah, thank you. So my coaching practice is healthfulelements.com. It’s healthfulelements.com. There is a link right there on the homepage to the cookbook website, which is just thyroidcookbook.com. So, yeah, thanks for asking. I mean, you know, if people wanna email me and ask me any follow-up questions based on this conversation, I’d be happy to get back to you, so. Dr. Hedberg: Great, great. Well, thank you for coming on. And to all the listeners, go to drhedberg.com, and I’ll have a full transcript of this posted there and with links to Jill’s book and her website so you’ll be able to find all that information. So thanks for tuning in, everyone. Take care and I will talk to you next time.